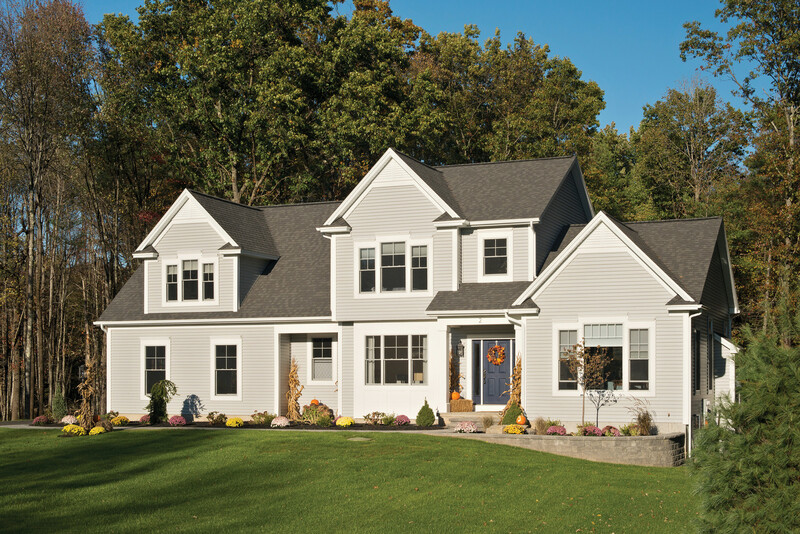 Popular Capital Region showcase includes crown moldings, open concepts and barn doors galore. On a grassy cul-de-sac in Stillwater, a custom-built sage green two-level home overlooks Saratoga Lake. The house boasts a timber-framed Douglas fir porch, a stone staircase leading to the door, and a cupola topped with an eagle weathervane. Inside, an open-concept living space is complete with a stone wood-burning fireplace, dark stained ceiling beams and a doublewide quartzite island with a second sink, not to mention the lower level gym and wine cellar. No, this isn’t an episode of HGTV’s House Hunters. 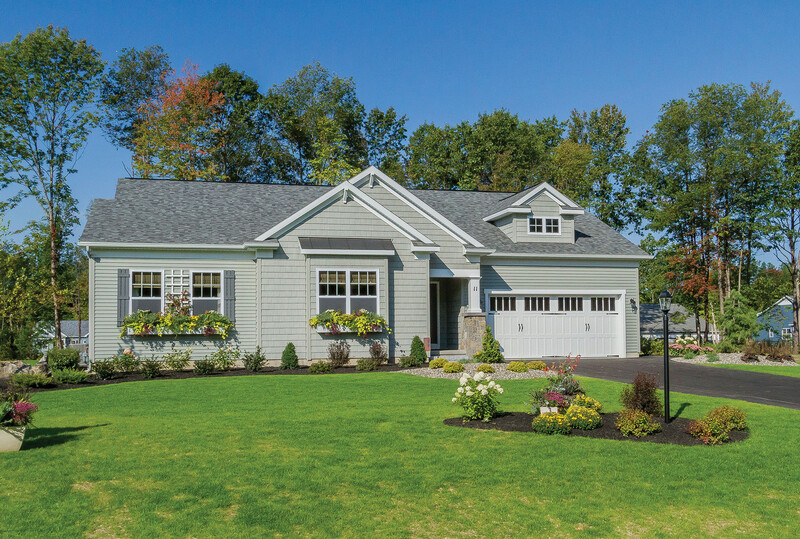 This is a Bella Home Builders house—one stop on the 2017 Saratoga Builders Association Showcase of Homes. 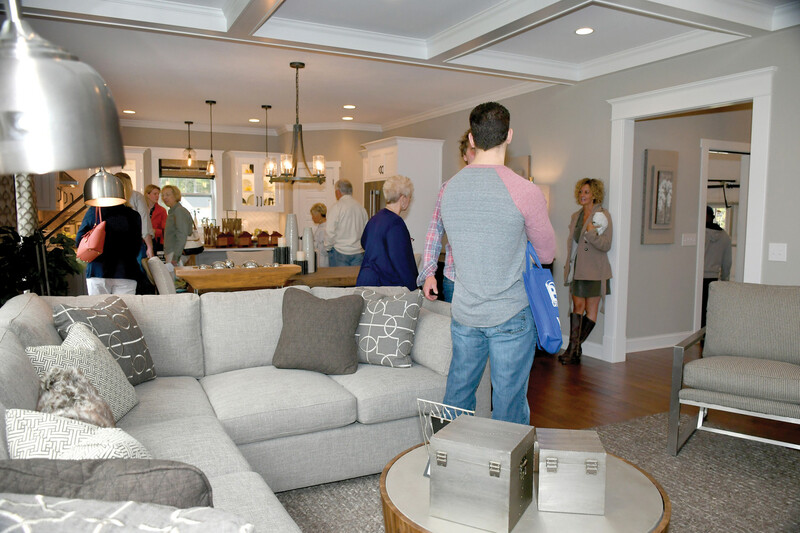 The 22nd annual showcase featured 18 recently constructed homes by 14 of Saratoga County’s finest builders for three weekends, from Sept. 16 to Oct. 1. 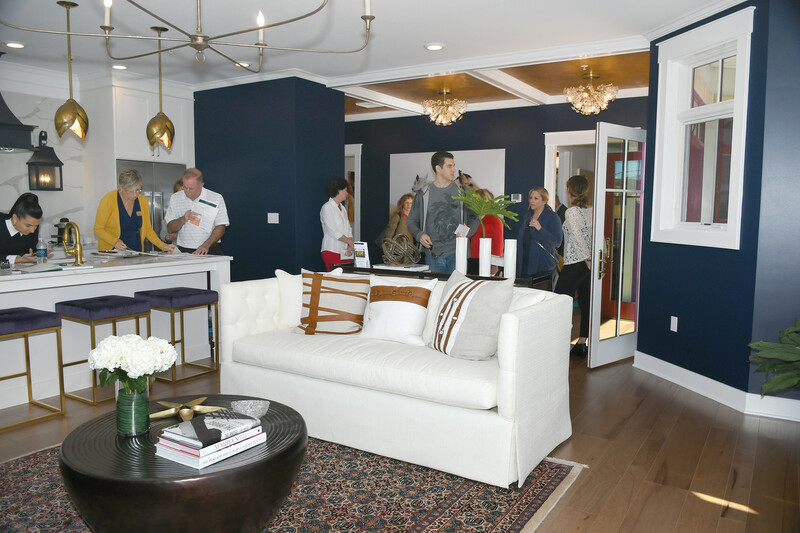 About 3,750 people toured the homes to check out the newest construction techniques, interior design trends and quality furnishings. At an awards ceremony at Vapor Nightclub Sept. 14, Liz Bishop of CBS 6 News presented showcase winners and runners-up with honors for best in landscaping, workmanship, master bath, exterior design, interior decorating, kitchen and interior floor plan. The seven categories were judged separately for classic, executive and luxury homes, based upon their approximate price point: classic homes, less than $500,000; executive homes, between $500,000 and $750,000; and luxury, more than $750,000. McPadden Builders won five out of seven classic home categories, Bonacio Construction’s two homes won all but one executive home category, and Bella Home Builders nabbed an award each for its classic and executive homes, as well as every luxury home category for its $1.2 million Stillwater home. 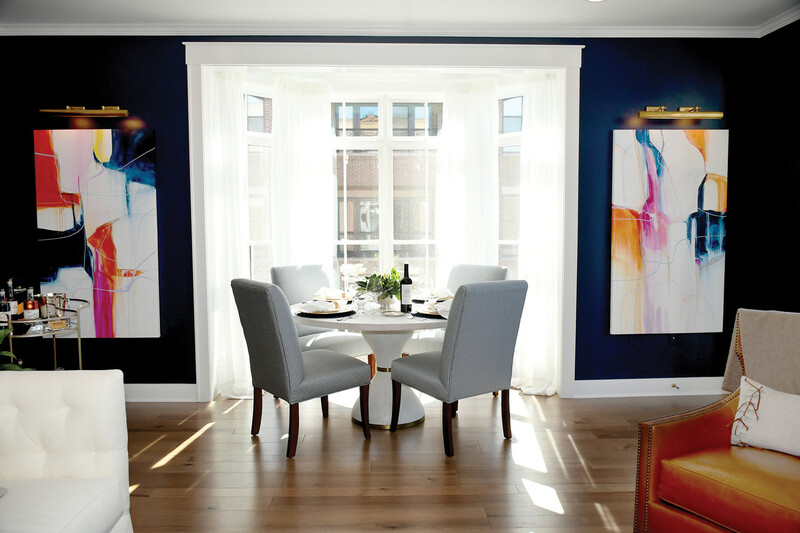 The winning Bella home “was a house that all came together with all the people who worked on it,” said Andrea Chenier of the Bennington Furniture Design team. “It couldn’t have been done by one person.” Bennington Furniture Design also designed the McPadden home, which won the classic home award for interior decorating. Competition aside, each of the 14 builders in the showcase not only gave people the opportunity to pretend they were on “House Hunters” for a day, they helped Saratoga Builders Association raise $75,000 for showcase beneficiaries Habitat for Humanity and Rebuilding Together Saratoga, which work to provide safe and affordable homes to county residents. 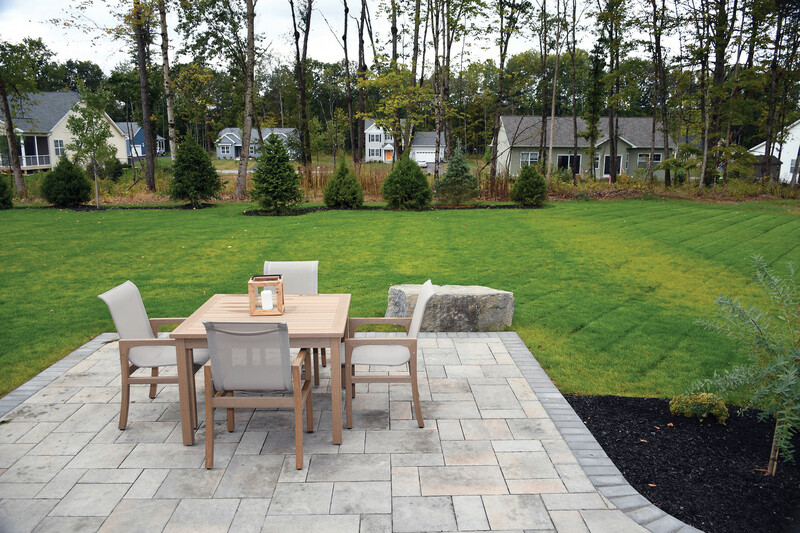 “A commitment to the growth, prosperity and quality of life of Saratoga County” is what the Saratoga Builders Association is all about, says Executive Director Barry Potoker. 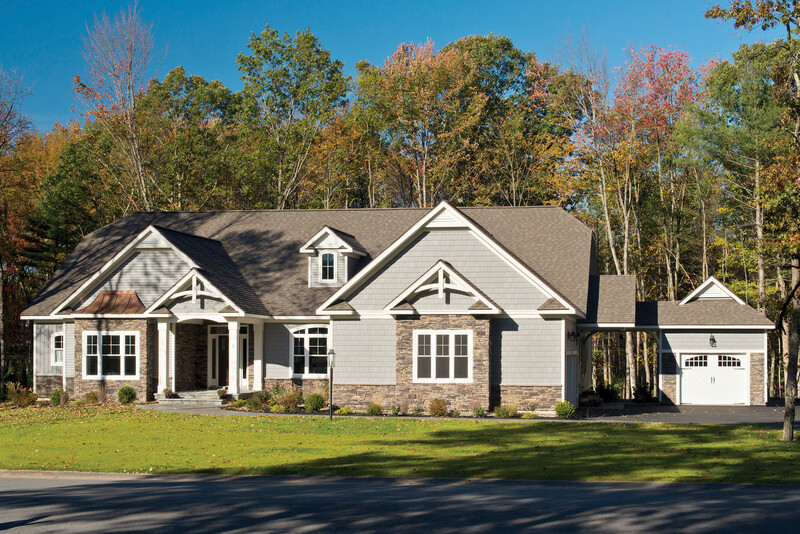 The luxury Bella home was a favorite of Showcase attendee Don Lebarron of Ballston Spa, who after attending the Showcase of Homes in 2014 chose Dave DePaulo of Bella Home Builders to build his next home. Now, in the design phase of a new home on Plummer Road, Lebarron returned to the showcase to get ideas. The owners of this specific Bella Home will enjoy all the characteristics Lebarron loves, plus some. It has three floor-to-ceiling fireplaces, a walk-out first floor with a custom bar and entertaining area and an in-ground swimming pool. Off the giant kitchen and living room space, the master bedroom has a sliding glass door leading to the front porch, and a closet big enough to be another bedroom. At the McPadden home, a one-level house in the new Craw Farm development in Wilton, the conversation was about affordability rather than luxury. “I feel like this would be in the average person’s budget,” Mary from Halfmoon told builder Matt McPadden, who was on site to answer questions. Mary withheld her last name as she didn’t want her builder to know she was admiring the work of another. As for the award-sweeping Bella house? “It’s way too…” Mary waved her hands in the air — a gesture that said over-the-top. Where the Bella home may seem excessively luxurious — at 4,160 square feet, it has three bedrooms, 3 1/2 bathrooms, and three fireplaces — McPadden’s home is realistically beautiful. The 1,856-square-foot house has three bedrooms — with one designed as an office — and two bathrooms. Gray furniture and wood accents fill the home, and crown molding lines the ceilings. Outside, purple and yellow flowers overflow from the two window boxes. The home is estimated at $499,900. For $751,000, a prospective homeowner could buy an elegantly modern Bonacio Construction house in Pine Brook Landing, near the Saratoga-Wilton border. The executive home has a baby- blue exterior, and the downstairs is dressed almost entirely in navy and silver, with an entryway chandelier shedding speckled light above the staircase. Upstairs are two children’s bedrooms and a master bedroom with a canopy bed and spacious walk-in closet. Out back, an umbrella-covered porch overlooks a stone fire pit with a built-in semicircle bench seat. For the environmentally conscious, Bonacio is pursuing a National Green Building Standard Gold Level Certification for the home, which calls for a building to include mandatory efficiency standards, and optional water conservation and indoor air quality features. 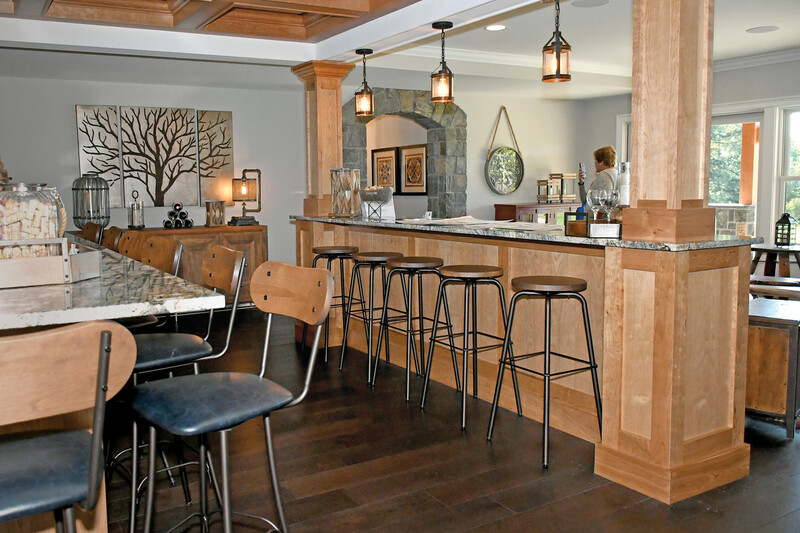 While this home has a suburban feel, the other Bonacio property is as urban as it gets in Saratoga County. 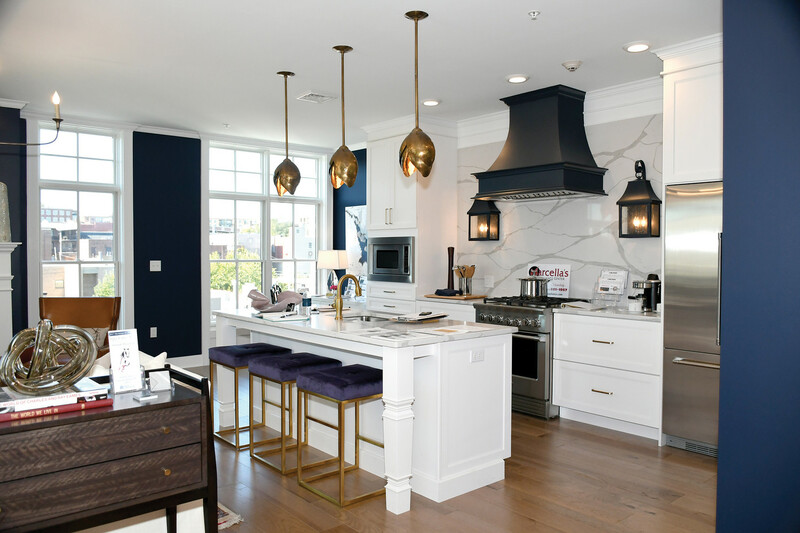 The Spencer condominiums – which won executive home awards for workmanship, best master bath, exterior design and interior floor plan – are on the corner of Phila and Henry Streets, a three-minute walk from Broadway. Sharing the building with Caffè Lena, The Spencer is named after Lena Spencer, who founded the adjacent music venue in 1960. The third-floor condo on display is one of eight in the building. Decorated throughout with horse art, it has granite countertops, a gas fireplace and a balcony above Phila Street. The units, all two-bedrooms with two parking spaces, range in price from $635,800 on the second floor to $983,600 on the fourth floor. Homeowner Association fees are $573 monthly. 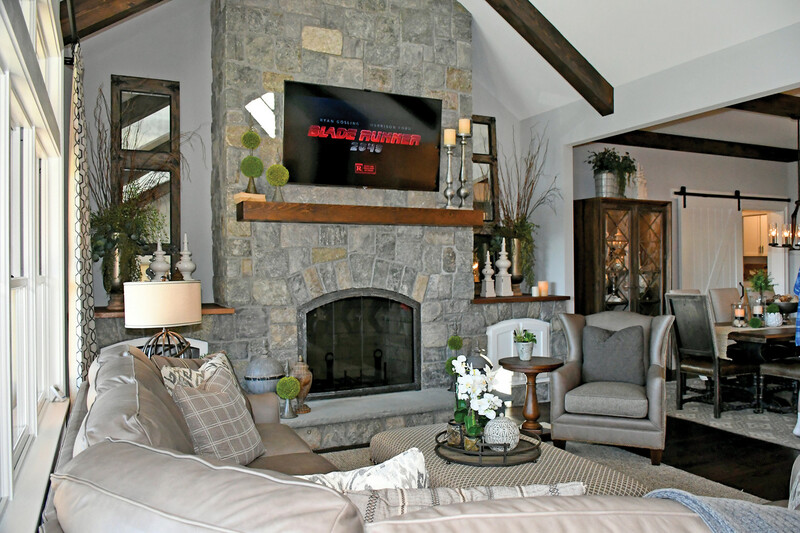 This R.J. Taylor Builders home on Eastridge Drive in Saratoga Springs won the Realtor’s Choice Award for luxury homes, with 4 bedrooms, 4 1/2 baths, screen porch and custom kitchen. 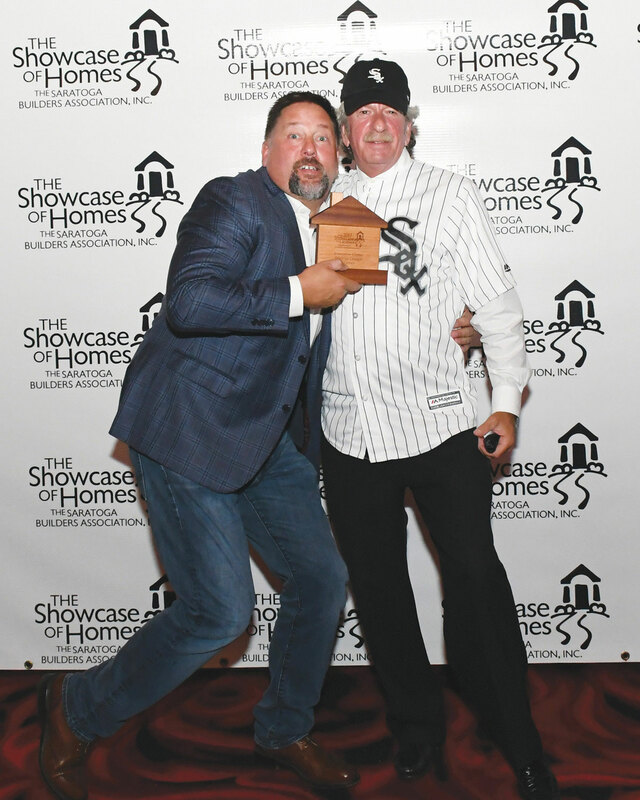 The Abele Builders home in the Cedar Pointe development in Malta won the Realtor’s Choice Award for executive homes. It has four bedrooms, two full and two half bathrooms and a bonus living space in the basement. 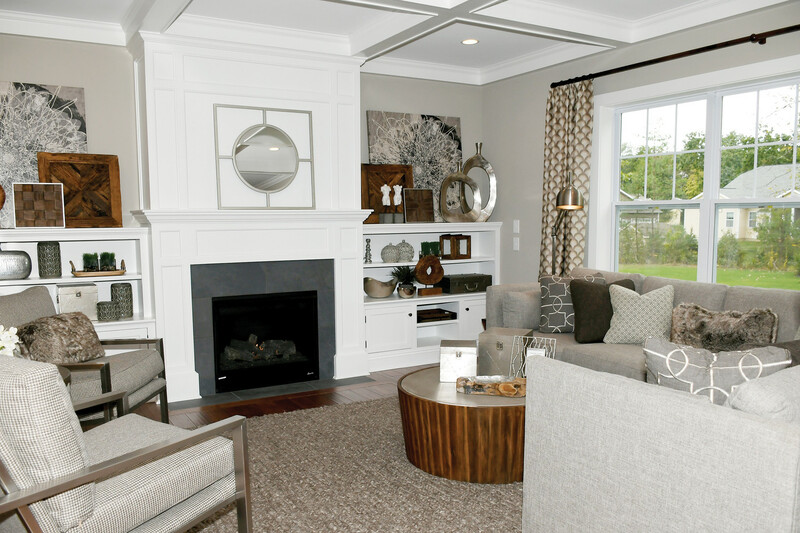 Winner of the People’s Choice Award for executive homes, Marini Homes’ house in the Linden Woods development in Halfmoon has a three-car garage, a covered outdoor living space and a first-floor master suite. 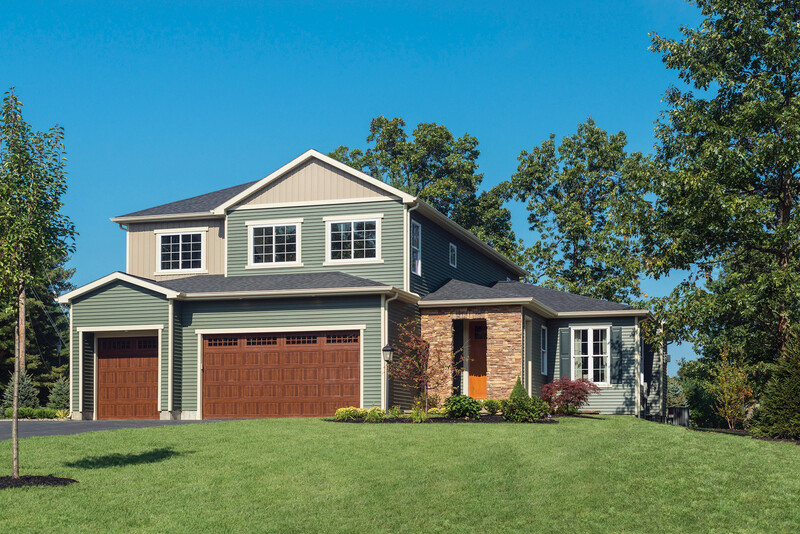 The luxury Bella Home Builders home sits in a cul-de-sac on a hill overlooking Saratoga Lake in Stillwater. The first floor is perfect for entertaining, complete with a stone arched doorway, a full bar and extra seating for an abundance of guests. Open-concept was the name of the game in many showcase homes. This Bella Home space is complete with a floor-to-ceiling fireplace, visible from the kitchen. Bella Home Builders won best kitchen for this Zarillo’s Custom Design kitchen, featuring a double-wide quartzite island, two sinks and white cabinetry. 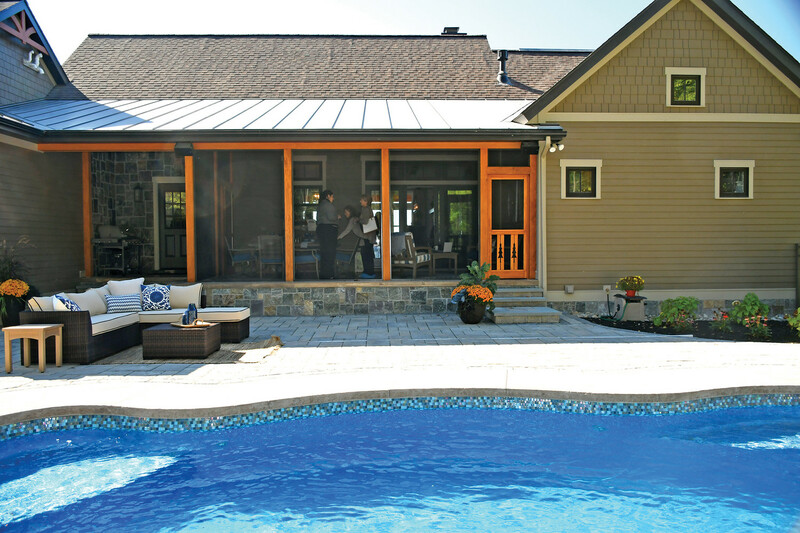 Out back, the Bella home is just as luxurious, with an in-ground pool and screen room. 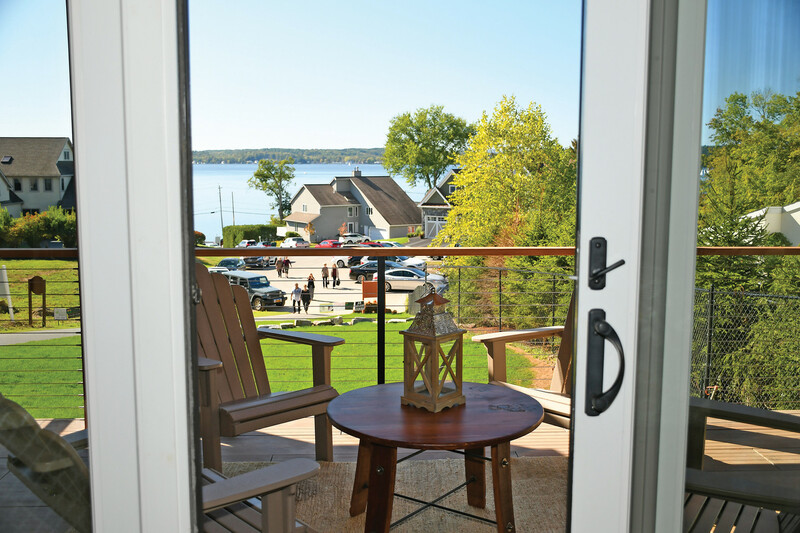 A walk-out sliding glass door from the master bedroom opens to the porch overlooking Saratoga Lake. 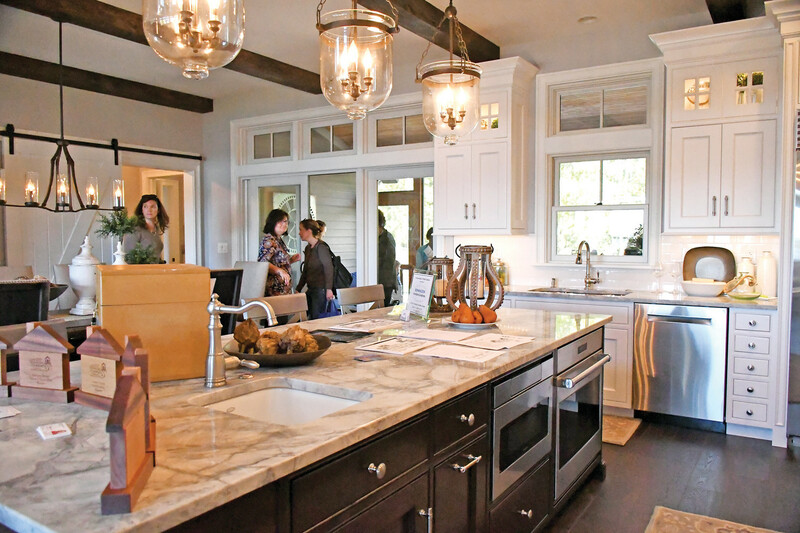 Showcase-goers check out the open-concept space in the McPadden Builders home. The McPadden Builders home is beautiful at half the size of the Luxury winner. 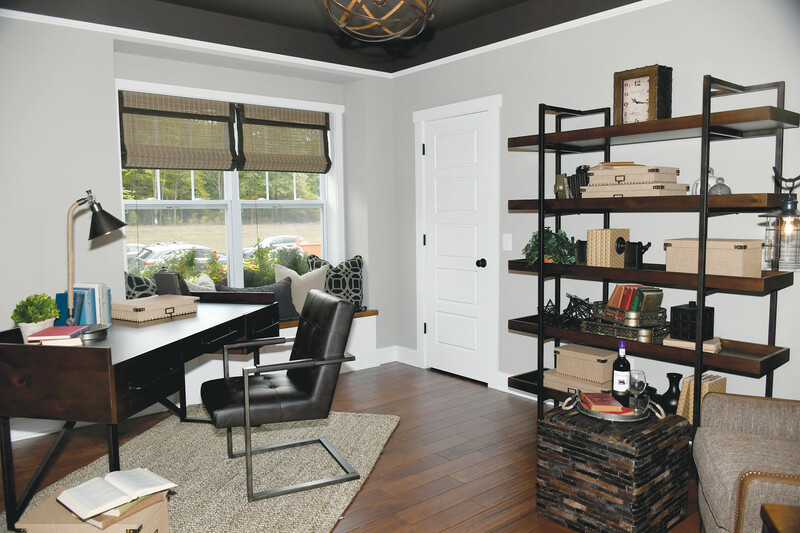 Gray furniture and accents were chosen by the Bennington Furniture Design Team. Outdoor seating off the back of the McPadden home. The elegant gray and wood master bedroom, with a gray accent wall at the head of the bed. An office at the front of the house can also serve as a third bedroom. Builder Matt McPadden and his wife Jaime at their award-winning home. Horse decor was a theme throughout the unit – even the decorative pillows were detailed with saddlery straps. One of two bedrooms in The Spencer condominium, with an adjoining bathroom and bay window. 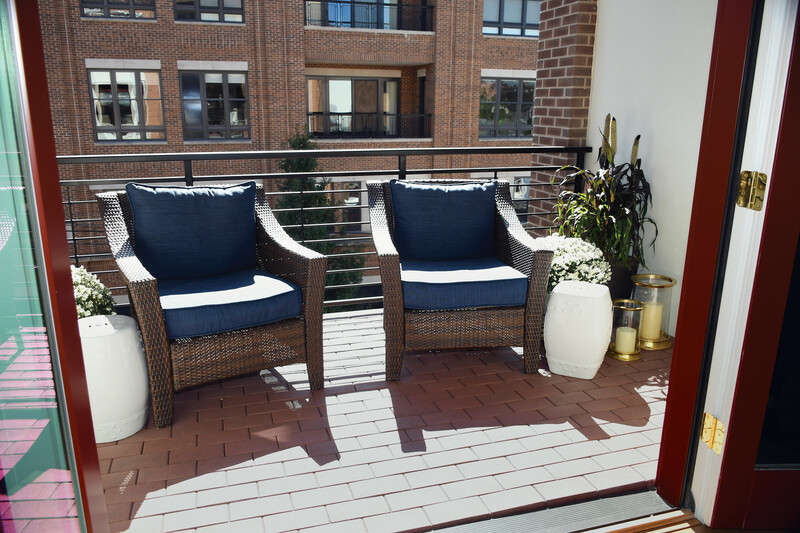 An outdoor entertaining space is included on the third floor. A sunny alcove at The Spencer condominiums, at the corner of Phila and Henry streets, in downtown Saratoga Springs. The condo’s white and navy kitchen, complete with stainless steel appliances. This Bonacio Construction home in the Pine Brook Landing development took home executive awards in interior decorating and best kitchen.